Tie quill bodies on your hooks to make much more realistic mayflies! Winter, especially in Michigan, can be a dread prospect for the ardent fly fisher. There are those few intrepid souls who continue to go out and court hypothermia on the frigid rivers for winter Steelhead or the occasional dazed and listless trout, but for most of us winter is by necessity a season of forgetting—about actual fishing anyway. Some move on to skiing, snowmobiling, or other winter sports. Others take advantage of the good cuddling weather to seek out and renew relations with their long-lost fishing widows with a view toward creating future fishing companions, but for those of us who simply must do something fishing-related regardless of the weather, winter is better-known as the fly-tying season. For many fly tiers, winter is an excellent time to experiment with patterns and techniques that are new or unfamiliar to them. Often these are things that they’ve wanted to master for a long time but have avoided due to either real or perceived difficulty. With that in mind, this article will be the first of several focusing on some tying techniques that are tricky to varying degrees, but which pay off by resulting in flies that are more realistic (or just neater-looking) and are therefore more effective on-stream. This series will focus on dry fly tying techniques, for the simple reason that dry flies are the patterns that most depend on correct construction and proportioning in order to function correctly. Future series will look at wet fly, nymph, and streamer-tying techniques. 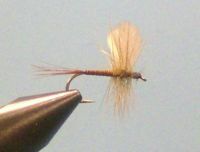 Perhaps the most often-avoided dry fly tying technique is the construction of the quill body. This is unfortunate, as, when applied properly, a wrapped quill creates a smooth, segmented body that much more closely imitates the abdomen of a natural mayfly than does a dubbed body. The first step in this process is to select and prepare the quill for mounting. The best quills for wrapping bodies do not, happily, come from your expensive dry fly hackle feathers. Instead, select a 6-8” strung Chinese neck or saddle hackle. Select a single feather from the strung bundle, and, starting as near the tip as you can, grasp the hackle fibers on one side and strip them from the quill. Repeat this process on the opposite side of the quill. The most commonly-cited difficulty with this technique is the tendency of the quill to crack and/or split when it is being wound onto the hook shank, and this indubitably can happen, but it is also fairly easily avoided by simply soaking the quill in water for fifteen minutes or so prior to tying. While the quill is soaking, mount the hook in the vise and tie in the tail of the fly using the material of your choice. Be sure to create a smooth, level underbody of thread from the tail tie-in point to the point where your dry-fly hackle will eventually be tied in. 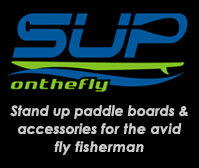 Do not taper the underbody as you would when creating a dubbed-body dry fly. The increasing diameter of the quill body will provide the tapered body profile of the finished fly. Now it is time to mount the quill. Tie in the quill by its tip roughly 1/3 of the length of the hook shank behind the eye—this should be the point at which you will eventually tie in your dry-fly hackle. Position the quill next to the side of the hook shank nearest you and begin wrapping thread over it rearward toward the bend. The pressure of the thread should roll the quill away from you as you wrap and secure it to the top of the hook shank. Continue wrapping to the beginning of the tail. The quill is now mounted and ready to wrap. Advance the thread to the quill tie-in point. Take up the quill in your hackle pliers (the rubber-tipped variety are best for this job) and wrap it forward in even, adjacent turns until you reach the hanging thread. Holding the quill directly above the hook shank, take up the bobbin and take several firm turns of thread over the quill, locking it into place on the far side of the shank. Trim the excess quill and continue with the rest of the fly as desired. Quill-bodied flies were among some of the first dry fly patterns ever tied for use on American trout streams, and they’ve stuck around this long for good reasons: they fool wary trout with their realistic sheen and segmentation, they are fun to tie, and besides that they just plain look classy in your fly box. What could be better?